The first step towards achieving your financial goals is to commit one hour of your time. Our initial one hour consultation is free of charge and you will walk away with a Financial Plan Overview – normally valued at $500. Our focus is to support you in meeting your goals and creating financial success. This comes from having a big picture view in the form of a comprehensive financial plan. This enables you to understand how the various elements interact. You direct your focus and energy to achieve specific results while keeping the big picture in mind – and avoid the pitfalls that comes from looking at things in isolation. The first step is to have a clear vision about what you want to achieve. You need to have clarity around your purpose and understand what your financial goals look like in measurable terms. As we take you through our structured process and comprehensive fact find tools you will develop a keen sense of your Individual Goals and Values and tailor them for your stage of life. Once you have some clarity around your purpose, we will document your financial plan. Together we will identify how the various aspects fit together and what areas need attention for you to achieve your goals. This is the point where you need to commit. Your plan will serve no purpose unless you are going to implement it. Our approach is to partner with you to help you put your plan into action. We have a “Partnership Agreement” that outlines the expectations for the relationship on both sides. You do your part and we do our part and together we have your entire financial plan covered. Our first responsibility is to oversee and coordinate all the aspects of your financial plans. We manage the progress toward meeting the goals and provide accountability. You can see how you are going. Our second responsibility is to assist you in the areas where you need help and take the stress out of it for you. All the information you need to achieve your financial goals is in the public domain. Our job is to help you make sense of it and to remove the complexity associated with your wealth management. There is no obligation and you can decide from there if you want us to assist you in meeting your goals and creating financial success. To book your initial consultation, phone ATM Financial Consultants Pty Ltd on 9800 3433. Over recent years we have recognised that many of our clients are starting to really think about retirement and how they go about getting there. They have been looking for financial planning advice and want that advice from us rather than have us refer them to someone else. We have also seen significant changes in the landscape for Self-Managed Super Funds (SMSFs). As a result, those that manage their own SMSFs need to be able to access advice that can only be provided by a licenced financial planner and we want to make sure our clients have access to that. As a result, ATM Financial Consultants Pty Ltd opened for business, offering a suite of financial planning services specifically tailored to the needs of our clients and designed to complement the business and tax advisory services we already offer. We have partnered with FM Financial who are a Financial Planning Business with a highly skilled and experienced team with offices in Burnie, Devonport and Hobart as well as Melbourne. This gives you access to a broad range of financial planning services as well as an experienced support team. 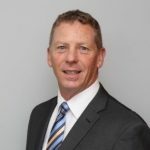 We are headed up by Stephen Jones who is an authorised representative of Hillross Financial Services (AFSL 232705) – a member of the AMP group of companies. This gives you the best of both worlds. You can expect that personalised client focused advice that you get from dealing with a privately owned and managed business, but with the support and services of one of Australia’s largest and most established financial services organisations.